ZUCCHINI BANANA BREAD has become a weekday essential. Combining two of our family favorite breads into one a quick bread my kids can’t seem to get enough of. So if you have been following A Dash of Sanity for a while you will know that 2 years ago we moved and I haven’t had a garden to grow my favorite vegetable of all time, zucchini. I am happy to announce that I currently have my first zucchini growing in a garden box in our back yard. Now this is a big deal friends because it has been two years in the making. Since selling our old house I haven’t had a garden. In reality I don’t have much of a green thumb and there are only a few things that I can grow successfully. One of them being zucchini. Growing up my mom always made zucchini and banana bread, especially during the fall and winter seasons. I have memories of us standing in the kitchen, using my mom’s KitchenAid mixer and shredding loads of zucchini. Once the zucchini was shredded we would add 4 cups of of the freshly shredded zucchini to a freezer Ziplock bag. My mom would place several Ziplock bags in the freezer so that we were guaranteed to have zucchini bread the rest of the year. She fostered my love for zucchini. I really only ever had zucchini in bread that was until I became a mom myself. Now I love zucchini in pasta dishes, salads and in desserts like cookies, brownies and cakes! 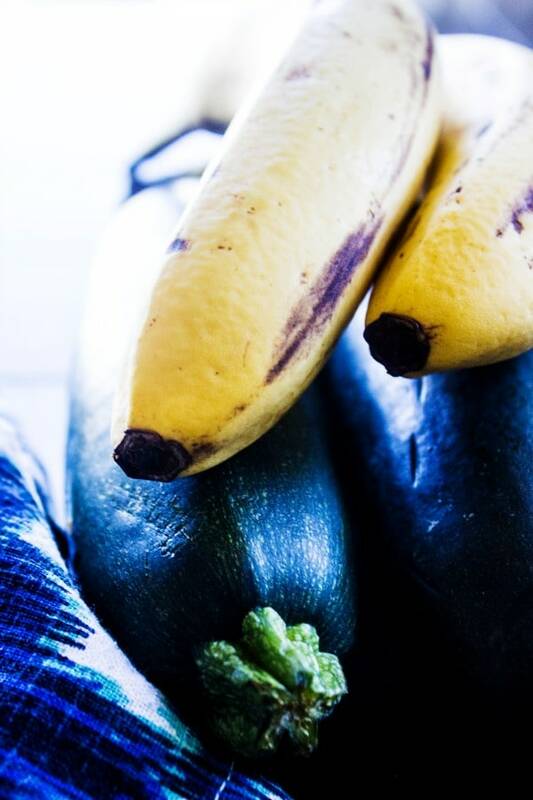 How do you make zucchini banana bread? Preheat oven to 375 degrees, grease bread loafs pans or 2 larger loaf pans. Mix all ingredients in order, as listed. Once it is well combined pour into 2- 3 bread pans, make sure to divide evenly and bake at 375 for 40-50 minutes. Time may vary depending on oven; insert toothpick to make sure bread is done. How long does zucchini banana bread last? If stored in an airtight container at room temperature, it will last for about 1 week. If stored in an airtight freezer bag and frozen, it will last for 1-2 months. Looking for some other fun ways to use zucchini? Here are my favorite: Best Ever Zucchini Bread (my grandma’s recipe), Chocolate Oatmeal Zucchini Cookies, Banana Chocolate Chip Zucchini Cookies and Pumpkin Zucchini Cake. 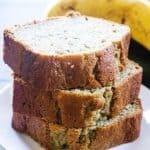 My favorite kitchen items I used to make this ZUCCHINI BANANA BREAD. Bread Loaf Pan – I use a large one of these to freeze and serve my ice cream in. I have a few of these on hand and use them for more than just baking. Kitchen Aid Mixer: I love my Kitchenaid mixer and use it almost daily. For cookies, breads, sauces, frostings and dough – I find many recipes that I can use my KitchenAid to reduce prep time. I have two that I couldn’t live without. 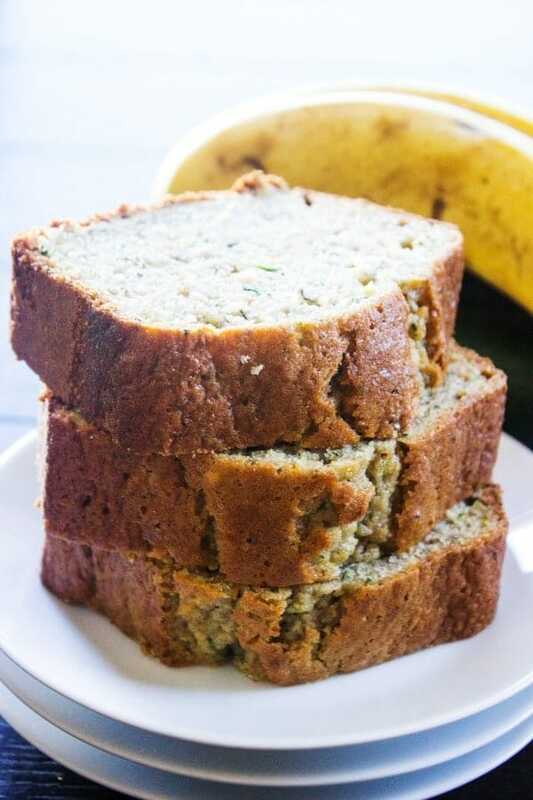 Don’t forget to pin this recipe for ZUCCHINI BANANA BREAD to your favorite Pinterest board for later! 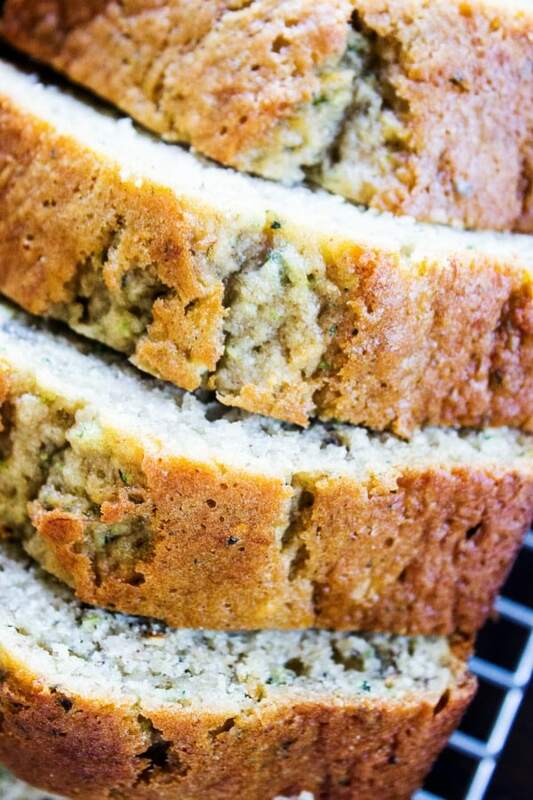 ZUCCHINI BANANA BREAD has become a weekday essential. Combining two of our family favorite breads into one a quick bread my kids can't seem to get enough of. Mix all ingredients in order, as listed. Mix until well combined. Do you squeeze the juice from the grated zucchini? This was the best banana zucchini bread ever!!! I can’t stop eating it. It has a nice balance of bananas and zucchini and comes out nice, light, and moist. I added some walnuts for some extra texture. Terrific recipe! I’m so glad you liked it! Thank you!